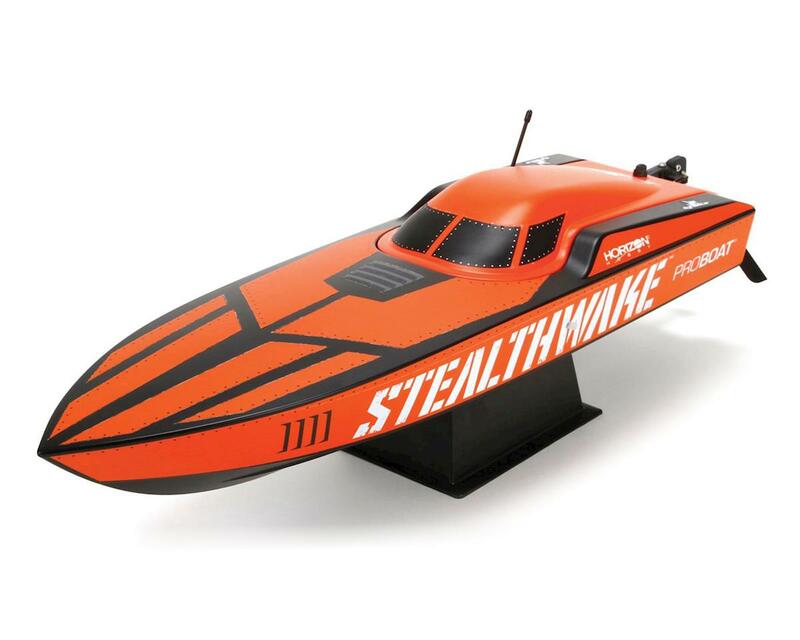 The Pro Boat Stealthwake 23 Deep-V can easily blend in with the crowd, yet at a moments notice will strike fear into the heart of its adversaries. When the mission calls for speed, precision, and style - the Stealthwake 23 is a perfect addition to your arsenal. Armed with an under-the-radar matte black and orange finish and a lethally efficient 550-size motor, the Stealthwake 23 will eliminate your competition with speed and style that they will never see coming.